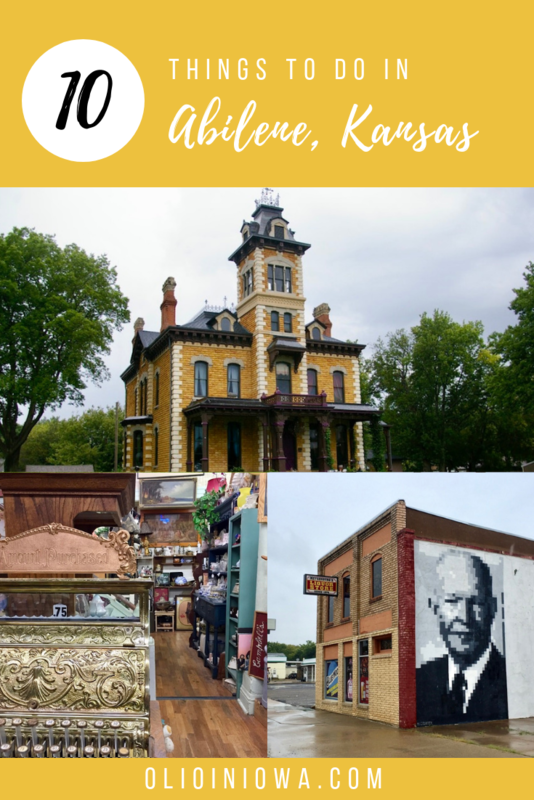 If you’re looking for lots of local history and heaps of small town charm, you won’t want to miss this Kansas community. The next time you’re in the area, check out one (or five) of these 10 things to do in Abilene, Kansas. President Dwight D. Eisenhower is quoted saying, “The proudest thing I can claim is that I’m from Abilene.” And it’s clear that Abilene is proud of him, too. There are little nods to like everywhere you look in Abilene, including on the sides of buildings. 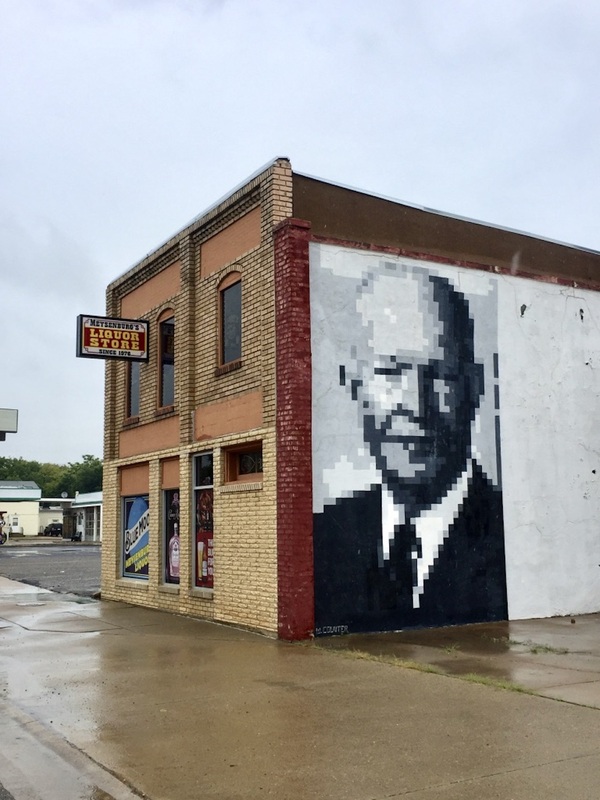 As you explore downtown Abilene, stop and snap your photo with this pixelated portrait of the 34th President of the United States. 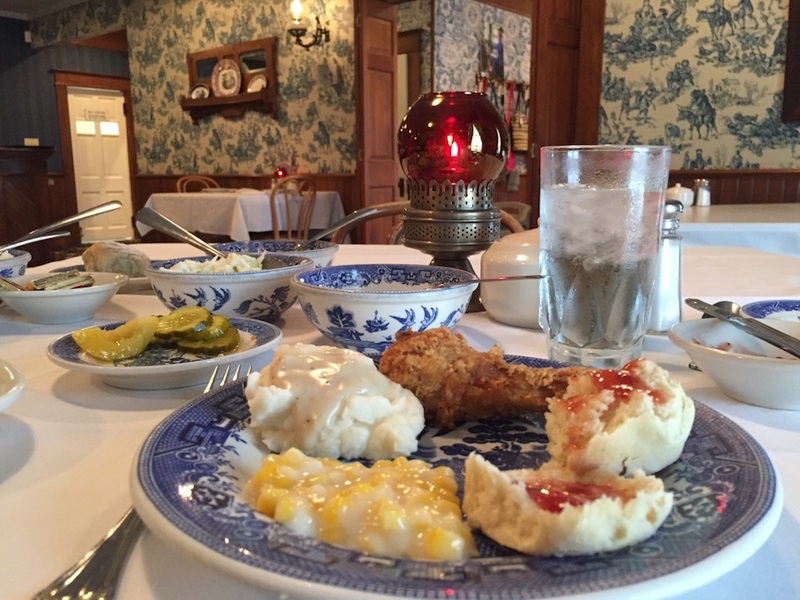 If you only have time for one meal in Abilene, make it a family-style fried chicken dinner at the Brookville Hotel. 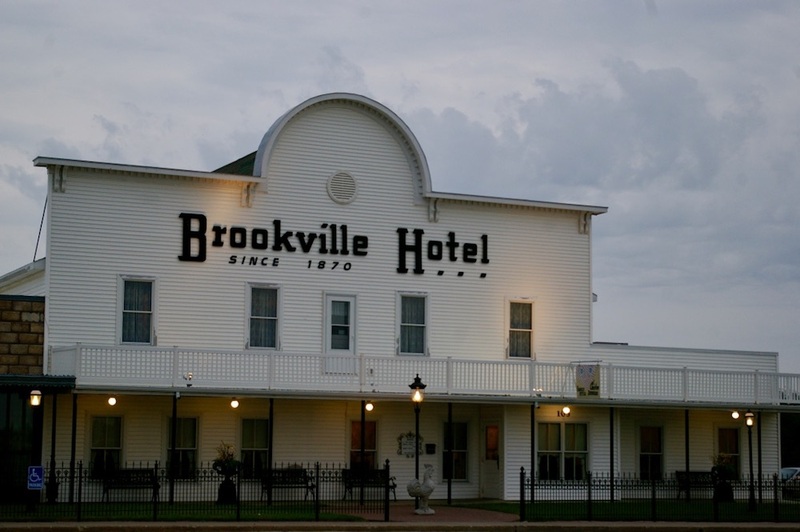 It’s no exaggeration when I say that my meal at the Brookville Hotel was truly one of the best experiences of my entire Kansas road trip. For the fixed price of $17.75, you can enjoy some true home cooking alongside a phenomenal piece of local history. If you know me, you know that I can’t pass up a visit to a “world’s largest” thing. So when I heard that Abilene, Kansas was home to the World’s Largest Spur, I knew I’d need to plan a visit. 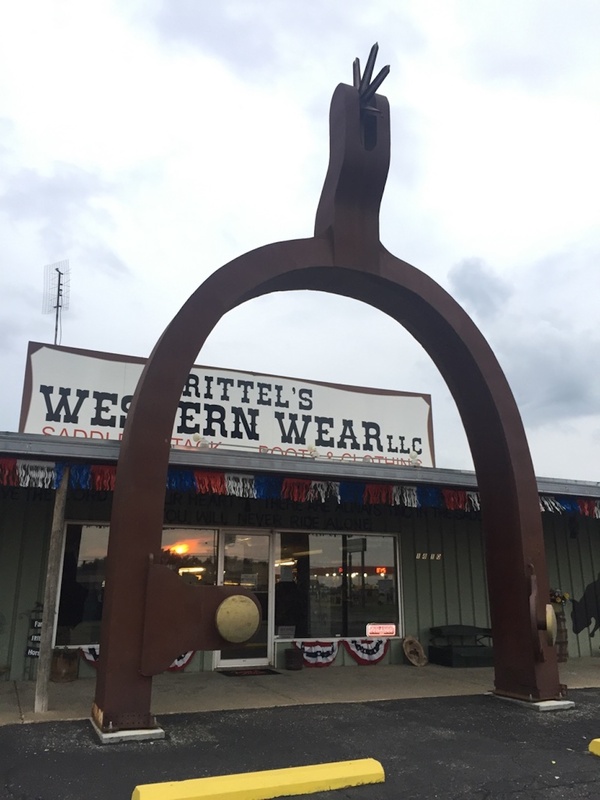 Located in the parking lot of Rittel’s Western Wear, the 28-foot-tall steel structure leads visitors inside the store. The spur was built by retired master farrier Larry Houston, and has the dimensions of a real spur. 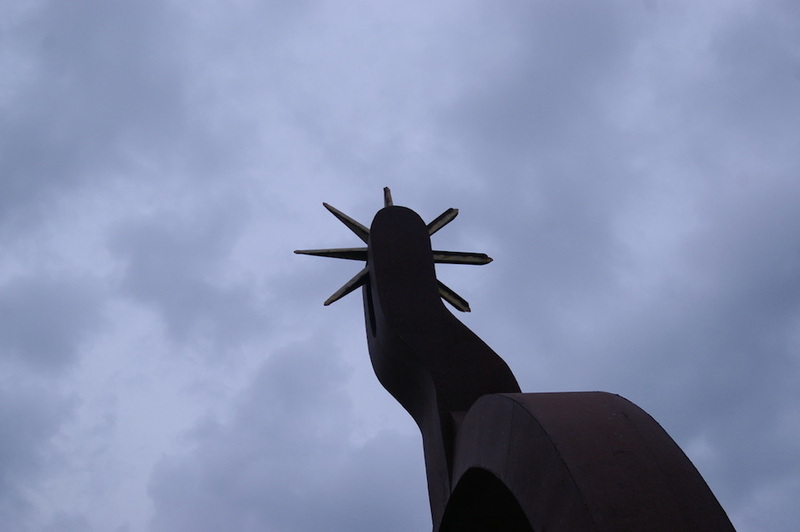 Weighing in at 2,000 pounds, the spur originally sat at the end of Houston’s driveway. In fact, the spur is so large that a semi-truck could safely drive through it. When the Houstons moved from New Mexico to Abilene in 2002 Larry cut the spur into three pieces to move it along with them. 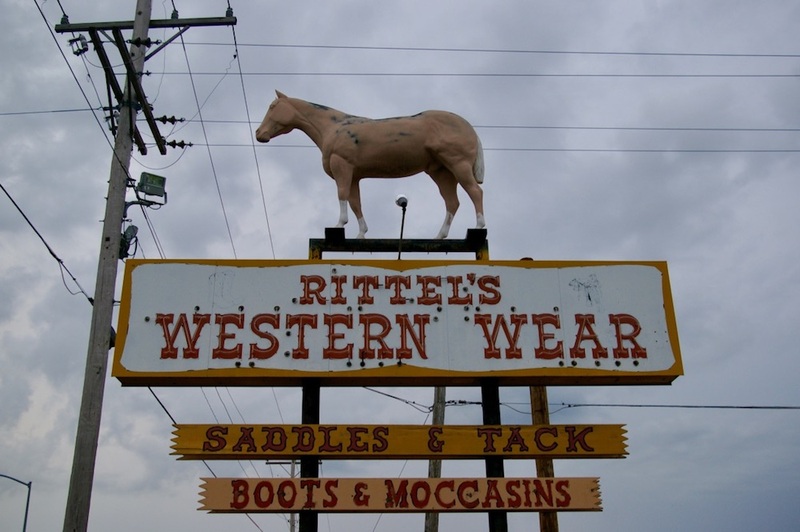 The spur sat at the entrance of the Wild Bill Hickok Rodeo Arena for a time before coming to reside at Rittel’s Western Wear. Learn about the life and legacy of the 34th President of the United States at the Eisenhower Presidential Library and Museum. 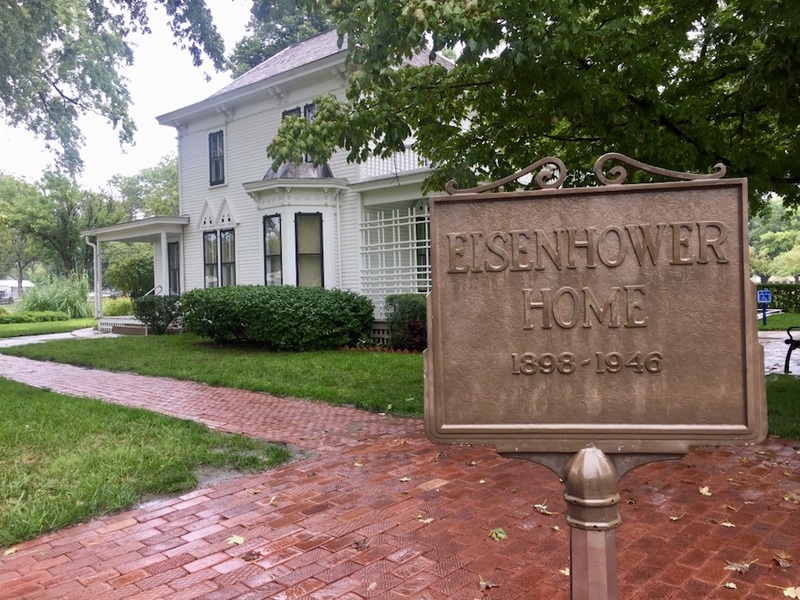 From Dwight D. Eisenhower’s boyhood home to a fantastic collection of items from his life, this is an attraction you won’t want to miss. I’m a sucker for small town Main Streets. During my first afternoon in Abilene I spent some time wandering its small downtown and popping into local shops. 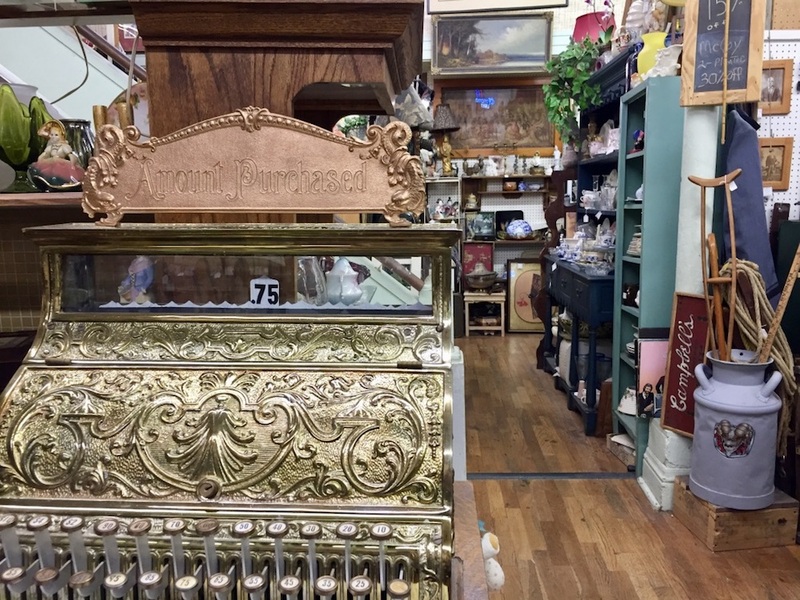 I was surprised to find so many teeming antique shops, and spent awhile getting lost in Buckeye Antiques. I tried to restrain myself from buying all sorts of yarn in The Shivering Sheep, and browsed the aisles in Rivendell Bookstore. My boyfriend likes to joke that any day I get to meet a new dog is a good day. He’s certainly not wrong. Which is why my second day in Abilene was a doubly good day. During my visit to the Greyhound Hall of Fame I was lucky enough to meet the museum’s two live-in residents, Ginger and Gary. 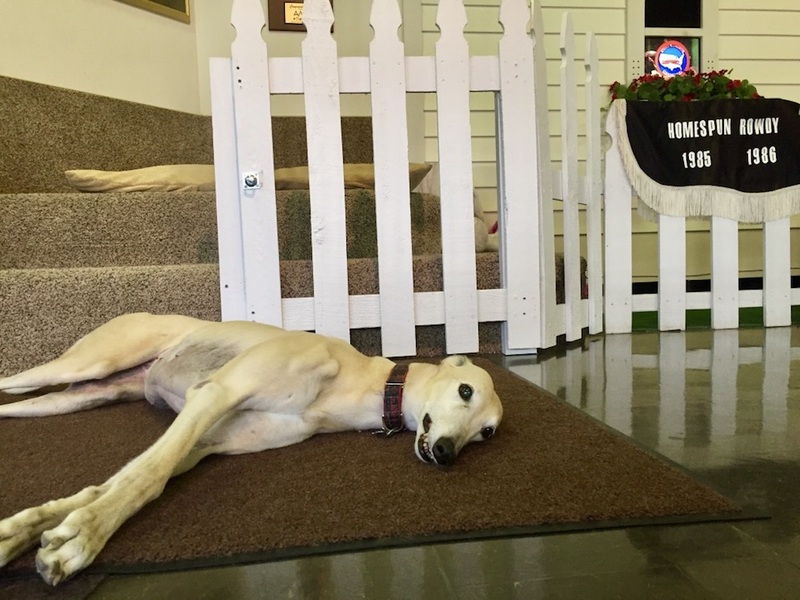 Both retired racing greyhounds, Ginger and Gary are adorable stewards of the museum and its collections. One of the things I noticed almost immediately upon arriving in Abilene is its number of gorgeous historic homes. 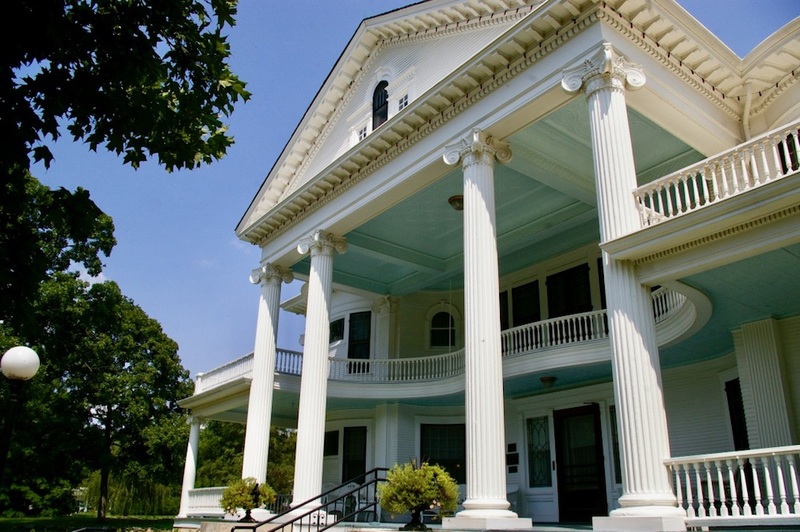 The Kansas community has more than 40 sites on the National Register of Historic Places. 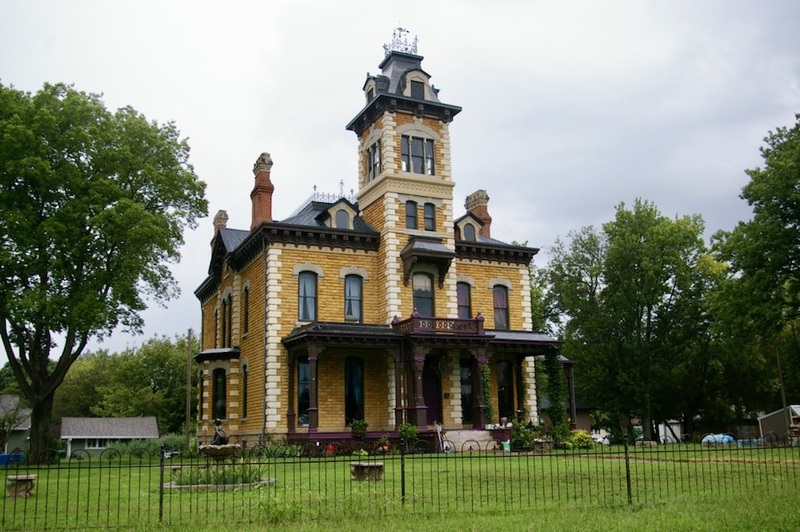 Grab a walking tour map when you visit the Dickinson County Heritage Center, and take yourself on a tour of some of the city’s most beautiful homes. 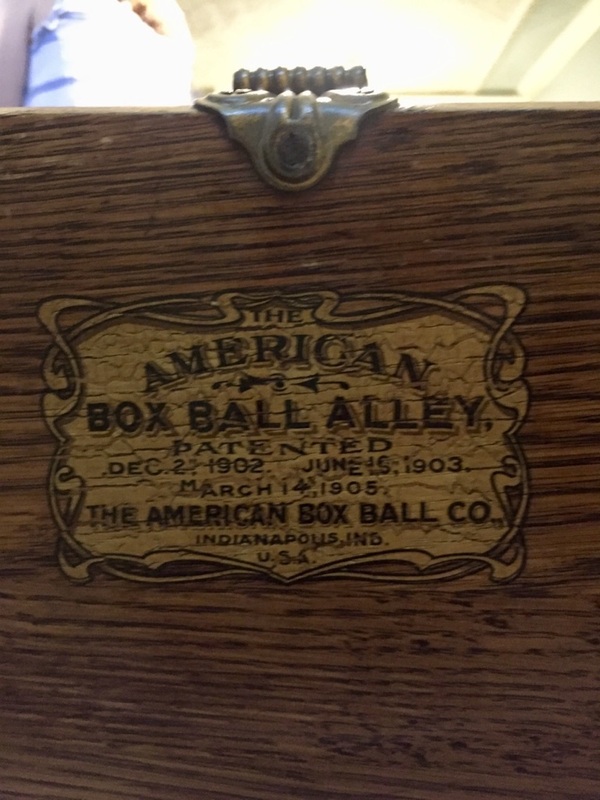 One of the most delightful surprises at the Dickinson County Heritage Center is its vintage 1901 C.W. Parker Carousel. 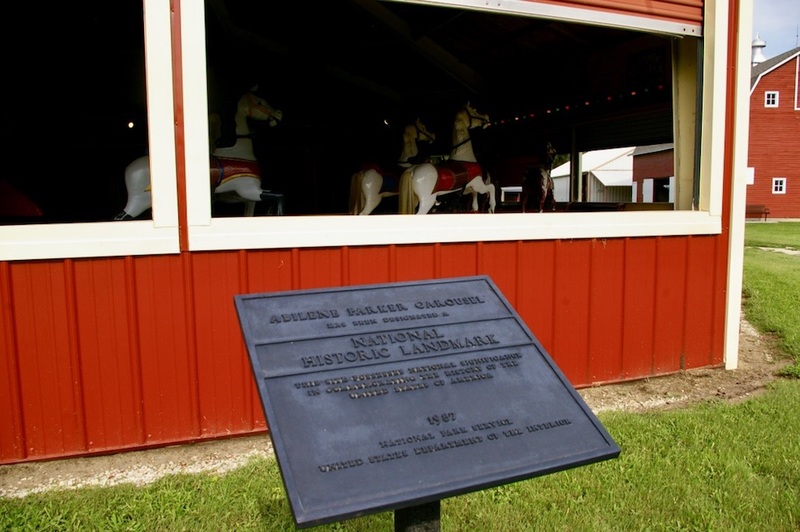 Although the Parker Amusement Company moved to Fort Leavenworth, Kansas in 1911, Parker built the carousel at the heritage center in Abilene in 1901. Today you can still take a ride on this little piece of history. 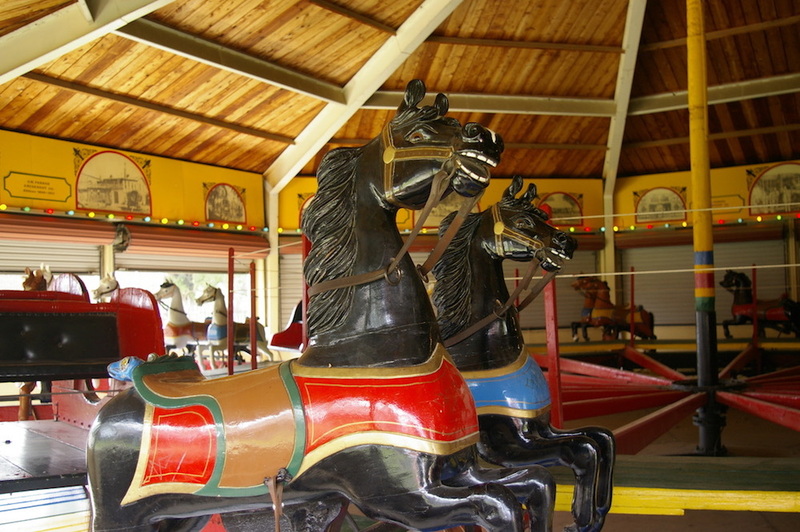 Rides are included in children’s price of admission and are an extra $2 for adult visitors. The Seelye Mansion is one of the true jewels of Abilene. Not only is this 1905 Georgian style home immaculately preserved, but it’s also almost entirely accessible to visitors. You won’t find any roped off areas or glass display cases here. This historic home is a truly engaging look at what life was like through the 1900s. While the home is full of wonders, one of its most captivating is the five pin wooden bowling lane. 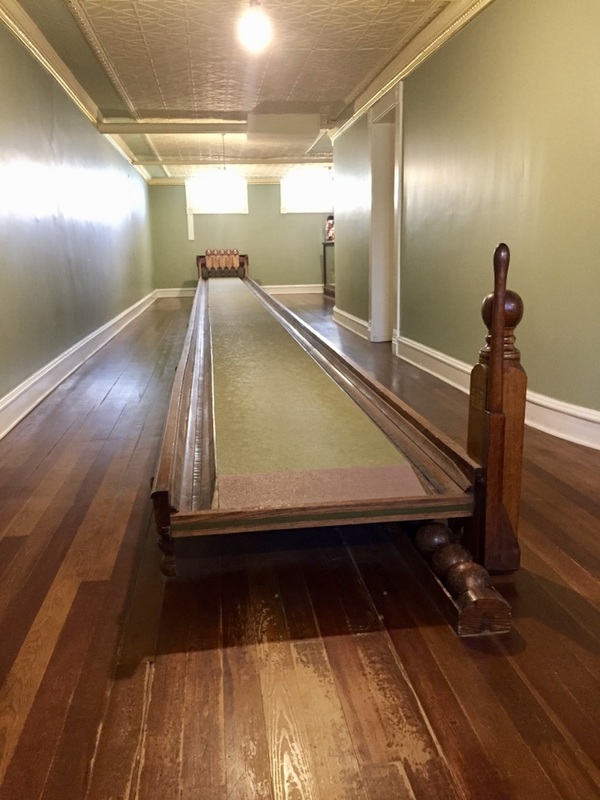 Purchased at the 1904 St. Louis World’s Fair, the bowling lane was a favorite pastime of the home’s residents and visitors (including Dwight D. Eisenhower) alike. Now home to the Abilene Convention and Visitors Bureau, this 1928 Union Pacific Depot is a true beauty. Built in a Spanish Colonial Revival style, the ornate and colorful building was once the passageway for thousands of passengers taking the Union Pacific railway. The building also houses the Visitor Center and Civic Center. 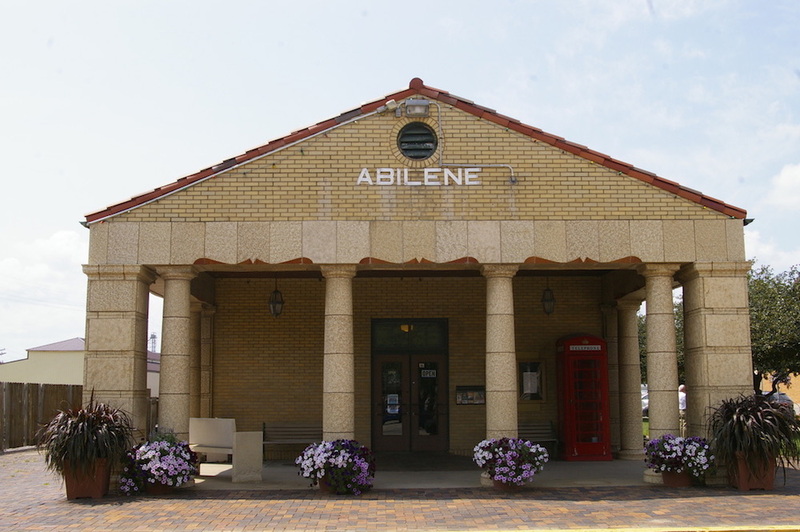 Stop in to learn about even more things to do in Abilene and the surrounding area. I would love to hear from you! Have you been to Abilene, Kansas? What’s your favorite thing to do? Looking for more things to do near Abilene? 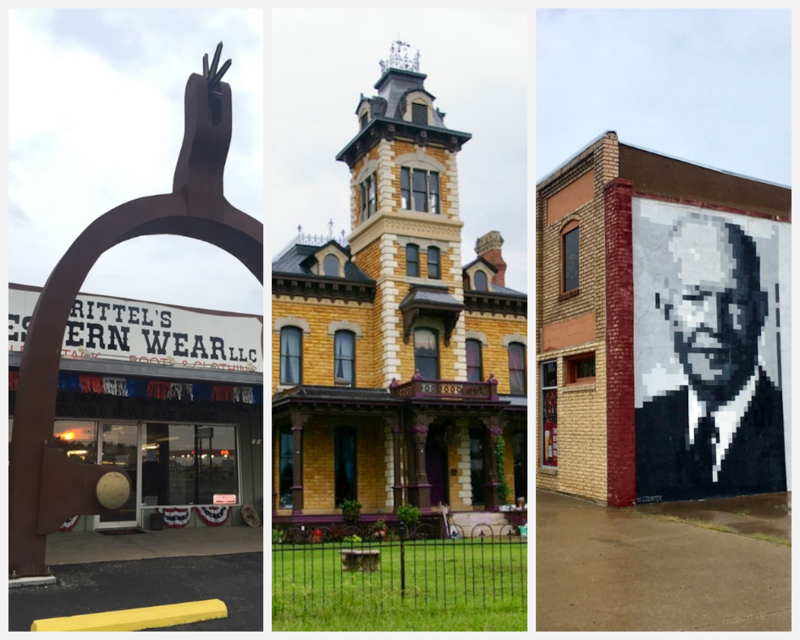 Check out the other places I visited on my Kansas road trip.